As solar and wind facilities come online and energy storage becomes more economical, storage projects are emerging across the U.S. with big implications for the technology’s future. Some states with ambitious renewables goals, such as California and Hawaii, are beginning to unlock booming markets for the resource. To help our readers keep an eye on the growth of energy storage going into 2016, Utility Dive has compiled a list of five important storage projects to watch. This entry was posted in Energy Storage, NewsBlog and tagged energy storage industry, Krysti Shallenberger, Nebraskans for Solar, Utility Dive on November 30, 2015 by Helen Deffenbacher. Get ready, we are embarking on yet another wave of energy exploration, one that will change the way that we think about energy, water and food: solar energy . . . This next era of solar will be much more diverse than photovoltaics alone, leading to new services that we have yet to imagine, much like we could not quite imagine the diverse services of social networks, weather, banking and email from a “phone” back in 1999. There is a big systems field emerging for solar within the context of the environment, society and technology, connecting solar science with design, business, art, lifestyle, health and well-being. We are calling that encompassing systems field solar ecology. This entry was posted in NewsBlog and tagged Associate Professor Jeffrey R.S. Brownson, Penn State University, solar ecology on November 29, 2015 by Helen Deffenbacher. 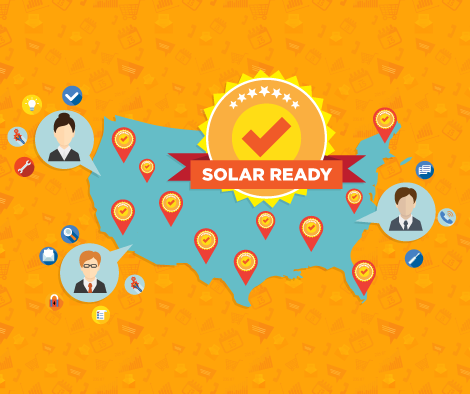 The U.S. Department of Energy’s SunShot Initiative selected The Solar Foundation to lead a $10.3 million solar technical assistance effort for local governments, through the Department’s new “Solar Powering America by Recognizing Communities (SPARC)” Program. The combined technical assistance and designation program efforts seek to reduce solar energy’s soft costs in 300 communities over the next 3 years. Communities that take steps that signal they are “open for business” for solar may receive technical assistance and national recognition through this new U.S. Department of Energy-supported program and designation as a “solar ready community.” The program will recognize communities that are taking steps to reduce barriers to solar adoption and foster the growth of mature solar markets. Please share this information with government leaders in your community and encourage them to apply to the “Early Adopters” Campaign. This entry was posted in Nebraska / Midwest News, NewsBlog and tagged "solar ready" communities, Nebraskans for Solar, Philip Haddix - Program Director at The Solar Foundation, reducing solar barriers and soft costs in Nebraska communities, Solar Powering America By Recognizing Communities (SPARC), SPARC "Early Adopters" Campaign, SunShot Initiative Fellows, The Solar Foundation on November 26, 2015 by Helen Deffenbacher. “The International Solar Energy Society is committed to accelerating the transformation of the global energy system to 100% renewable energy for all, used wisely and efficiently. This transformation is necessary for the long, and short, term health and well-being of our planet and our people. We know this goal is technically and economically achievable and we know the challenges this entails. The renewable energy movement needs a strong, unified voice to accelerate this transformation, and ISES is expanding its mission to be this voice. To do this, ISES will continue to grow its strong core of solar energy and related renewable energy and environmental professionals, essential for the technical foundations of the movement. In addition ISES will expand its partnership building and outreach with like-minded groups and individuals who can help strengthen the movement through their support. Future ISES events, webinars, publications, participation in global decision making, and other outreach activities will continue to provide the highest quality information on solar energy, and through collaboration with its growing partnership base, address the other wide range of issues central to achieving a 100% renewable energy world. The [November 8 -12] Congress brought together a wide range of contributors to the renewable energy movement. Hundreds of participants from 58 countries presented recent developments in solar technologies, and latest updates on financing, policies, access and public support around the world. The International Solar Energy Society (ISES) was founded in 1954 and is now incorporated as a non-profit membership organization with members in over 100 countries. 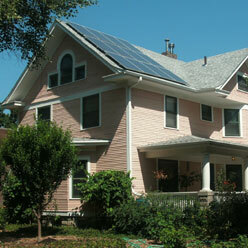 ISES serves as a center for information on research and development in solar energy utilization. Through its publications and conferences, the Society provides a global forum for the science and advancement of solar energy. This entry was posted in NewsBlog and tagged global renewable energy development, International Solar Energy Society (ISES), ISES Solar World Congress 2015 Proclamation on November 26, 2015 by Helen Deffenbacher. 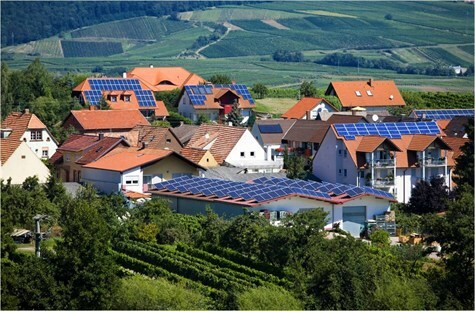 German battery maker Sonnenbatterie has launched a scheme to connect households with solar panels and other consumers, aiming to better distribute surpluses of the renewable energy and help members to become more independent of conventional suppliers. The start-up company hopes the scheme, called “sonnenCommunity”, will boost demand for its batteries which store solar power, allowing owners to use the clean energy even when weather conditions are not favorable. This entry was posted in Community-Scale Solar, Energy Storage, NewsBlog and tagged innovative community solar concept, shared stored energy, solar development in Germany, solar energy storage, Sonnenbatterie, sonnenCommunity on November 25, 2015 by Helen Deffenbacher. KEARNEY — The city intends to buy 40 more acres at the technology park in northeast Kearney. At its regular meeting [today], the Kearney City Council will consider authorizing the purchase of land at Tech oNE Crossing, which is southeast of 56th Street and Antelope Avenue . . . Software development company Xpanxion will build its Kearney headquarters at the tech park. Solar power company Infigen Energy has signed an option lease agreement to construct a solar power facility on 53 acres at the park. Read more. 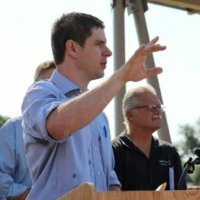 This entry was posted in Nebraska / Midwest News, NewsBlog and tagged Amanda Brandt, City of Kearney, Infigen Energy, Kearney Hub, Nebraskans for Solar, solar energy development in Nebraska, Tech oNE Park in Kearney on November 24, 2015 by Helen Deffenbacher. Hammond Farm. Photo by Matt Ryerson, Lincoln Journal Star. Renewable energy is a hot topic nowadays among farmers here in Nebraska and states all across the country. 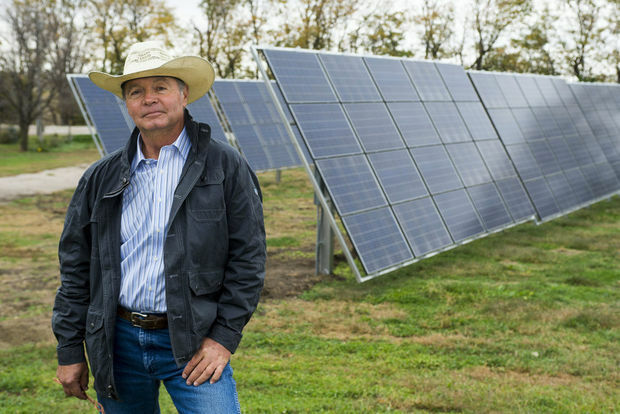 The U.S. Department of Agriculture and other national and local organizations provide numerous resources for farmers on how to harness the power of the sun and profit from it. These include information on various uses of solar energy technologies in farm operations, ongoing research, programs and policies. 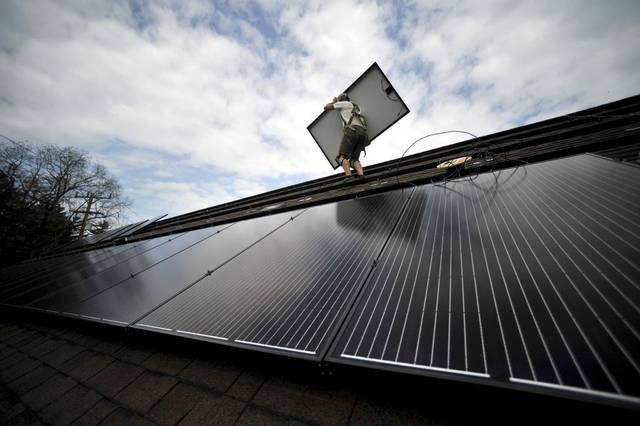 The costs of installing solar have greatly declined in recent years and continue to drop. Publications written even a short time ago don’t reflect this good news and, instead, create the impression that solar is more costly than it actually is. The best sources of up-to-date information on costs are free estimates from local solar installers listed in our online directory and others. This publication helps farmers and landowners select a stand-alone solar photovoltaic system for water pumping. Steps include deciding whether a wind or solar water pumping system would be best, determining the type of PV module, how controller can affect the decision, selecting pump type, and analyzing the monthly water demand requirement. Includes a section on solar energy with success stories, links, and select publications. Publications and other information sources on solar energy education, effect on the environment and building, photovoltaic and solar thermal technologies. This entry was posted in Installation, Nebraska / Midwest News, NewsBlog and tagged farm energy, Nebraskans for Solar, solar powered farms in Nebraska, U.S. Department of Agriculture (USDA), USDA Rural Development - Rural Energy For America Program on November 23, 2015 by Helen Deffenbacher. The coming step-down in federal tax credits for solar energy production will cast a shadow over the industry in 2017, but after that analysts expect the sector to return to strong growth, perhaps hitting 250 GW of cumulative installed capacity by 2030. This entry was posted in Nebraska / Midwest News, NewsBlog and tagged Greentech Media Research, Herman K. Trabish, Nebraskans for Solar, solar development in the U.S., Solar Investment Tax Credit (ITC), Utility Dive on November 22, 2015 by Helen Deffenbacher. Lincoln Electric System sees a bright future for solar electricity generation in the capital city and plans to update its rates and guidelines for customers looking to harness the power of the sun. During recent discussions with a company interested in erecting a solar array, it became clear the city-owned utility needed to clarify its rate schedule, LES Vice President of Power Supply Jason Fortik said Friday morning during an LES board meeting . . . A public meeting on the proposed changes will be held at 5:30 p.m. Dec. 8 at the Walter Canney Service Center, 2620 Fairfield St. The revisions, set to take effect Jan. 1, don’t have to be approved by the City Council because they are not part of the city’s retail rate schedules. This entry was posted in Nebraska / Midwest News, NewsBlog and tagged LES rates for surplus solar, Lincoln Electric System (LES), Lincoln Journal Star, Nebraskans for Solar on November 21, 2015 by Helen Deffenbacher. This entry was posted in Nebraska / Midwest News, NewsBlog and tagged economic benefits of homegrown solar energy, free solar energy workshop in Beatrice, Graham Christensen - President of GC Resolve, Nebraskans for Solar, REAP grants, solar energy development in Nebraska, solar energy uses on farm operations on November 18, 2015 by Helen Deffenbacher.